Charles Ross - Apple Tree £12.75 - Dual Purpose Apples Apple Trees and Fruit Trees For Sale. Buy at competitive prices with wholesale discounts. 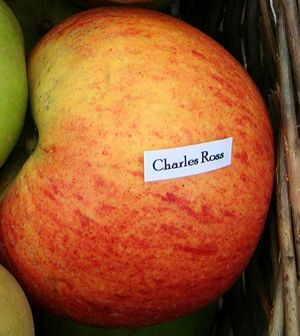 The fruit of Charles Ross is multi purpose; it is primarily eaten, but also used for juicing, cider and cooking. 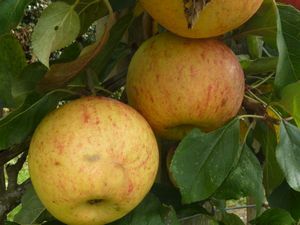 It is sweet and juicy when eaten, good as a blending variety in cider and when cooked stays firm, perfect for pies and tarts. This variety was found in the English county of Berkshire in 1890.